The weather on Monday, September 19 was perfect for a day on the links. 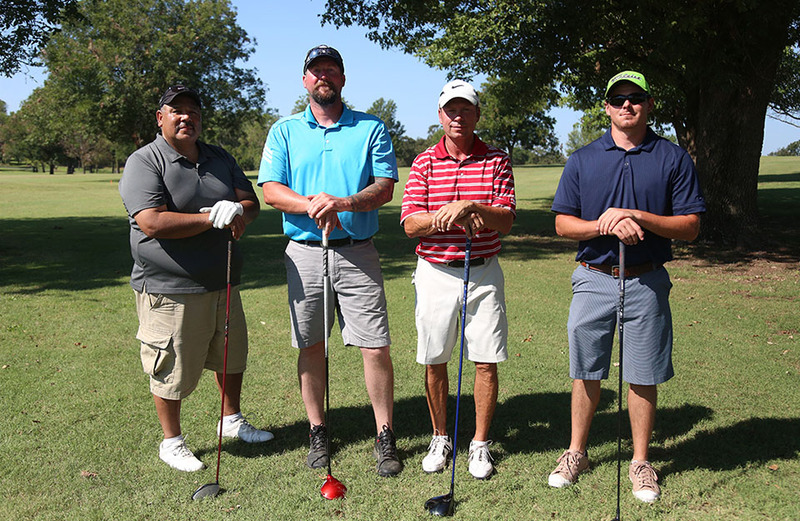 The Tenth Annual Central Tech Foundation Ron Vandever Memorial Golf Tournament, held at the Buffalo Rock Golf & Gun Club in Cushing, brought out 143 golfers to help raise money for the Central Tech Foundation. SpiritBank and Premier Truck Group sponsored this year’s tournament with a great response from 42 business and community sponsors at the platinum, gold, silver and bronze levels. Through the tournament, the Central Tech Foundation raised nearly $19,700 to assist needy Central Tech students as they prepare for technical careers. Last year, the foundation was able to provide financial assistance to 45 students from 16 local communities. This year the tournament was spread out over the morning and afternoon with two flights of golfers in each round. In the morning A Flight, the Klaus, Inc. team of Armando Covarrubias, Jeremy Snow, Charles Carroll, and Ryan Coppock won with a score of 53. Team Premier Truck 1 placed second with a score of 56 by team members Austin James, Jesse Bean, Nick Pettus, and David Spriggs. In the morning B Flight, the Griffith Family team of Chris Pixler, Derek Griffith, Mike Griffith, and Steve Spears won with a score of 60. Second place in the morning B Flight was the Pacer team with a score of 61 by team members Brennan Malcom, Joe Mattox, Taylor Neher, and Kerry Ools. In the afternoon A Flight, Team Community Bank with players Michael Putzke, Jay Krumme, Tyler Sullivan, and Blake Barnett placed 1st with a score of 50. Second place in the afternoon Flight A was the OG&E team with Chuck Mitchell, Jerry Hausner, David McBride, and Blake Bergman with a score of 51. 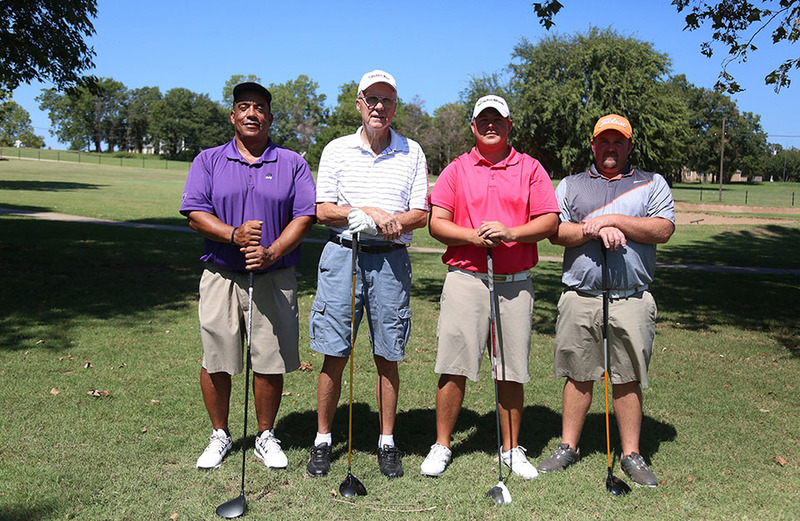 In the afternoon B Flight, Team Spirit Bank 2 with players Rick Harper, Kell Kelly, Jonathan Hendricks, and Joe Ihle placed 1st with a score of 60. Second place in the afternoon Flight B was the Spirit Bank 1 team with Josh Crowl, Scott Moore, Brent Blansett, and Peter Kelly with a score of 61. Winner of the closest to the pin challenges on hole two in the morning was Alan Geiger of the BancFirst team. In the afternoon, the winners of closest to the pin on hole two were Mike Gaskins of the RCB team and Tammy Wasson of the JLT team. On hole eleven in the morning, the winner of the closest to the pin challenge was Bobby Miller of the Premier Truck 2 team. In the afternoon, the winners of closest to the pin on hole 11 were Jeff Vandever of Vandevers team and Ashley Vandever of Team Ron’s Duffers. The winners of the closest to the line on hole eighteen were Ryan Coppock of the Klaus, Inc. team in the morning and Blake Barnett of the Community Bank team and Tammy Wasson of Team JLT in the afternoon. For more information about Central Tech’s educational and training opportunities, please visit the website at www.CentralTech.Edu or see more team photos at www.facebook.com/CentralTechEdu. 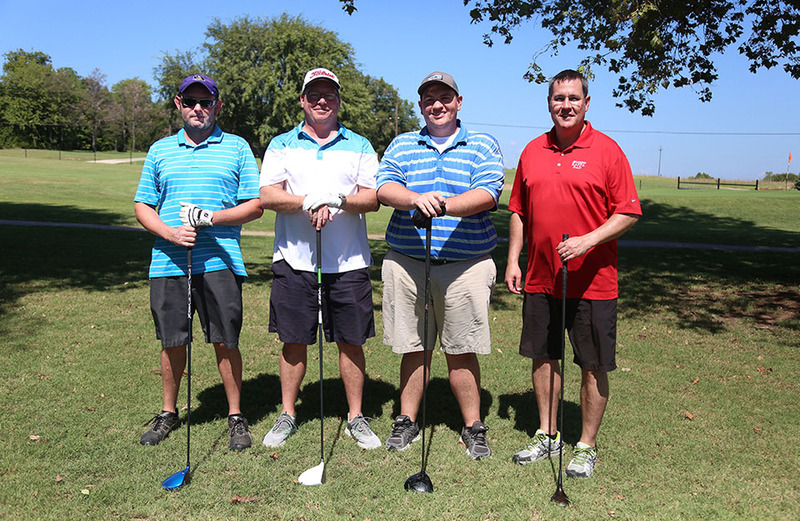 The Klaus, Inc. team of (L-R) Armando Covarrubias, Jeremy Snow, Charles Carroll, and Ryan Coppock placed first in the morning Flight A with a score of 53 at the Tenth Annual Central Tech Foundation Ron Vandever Memorial Golf Tournament on September 19, at the Buffalo Rock Golf & Gun Club. 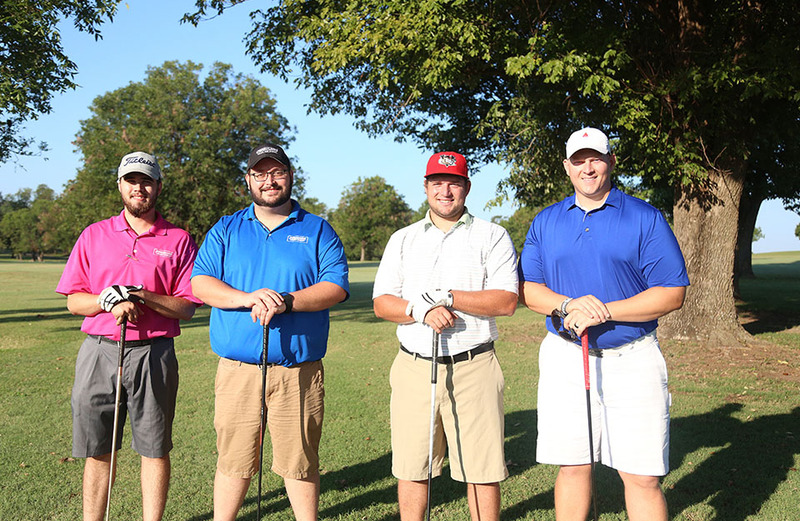 The Premier Truck 1 team of (L-R) Austin James, Jesse Bean, Nick Pettus, and David Spriggs placed second in the morning Flight A with a score of 56 at the Tenth Annual Central Tech Foundation Ron Vandever Memorial Golf Tournament on September 19, at the Buffalo Rock Golf & Gun Club. 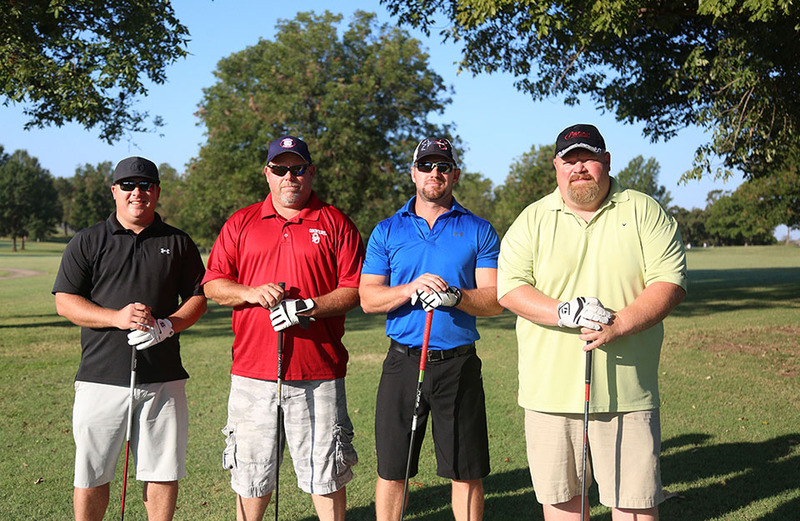 The Griffith Family team of (L-R) Chris Pixler, Derek Griffith, Mike Griffith, and Steve Spears placed first in the morning Flight B with a score of 60 at the Tenth Annual Central Tech Foundation Ron Vandever Memorial Golf Tournament on September 19, at the Buffalo Rock Golf & Gun Club. The Pacer team of (L-R) Brennan Malcom, Joe Mattox, Taylor Neher, and Kerry Ools placed second in the morning Flight B with a score of 61 at the Tenth Annual Central Tech Foundation Ron Vandever Memorial Golf Tournament on September 19, at the Buffalo Rock Golf & Gun Club. 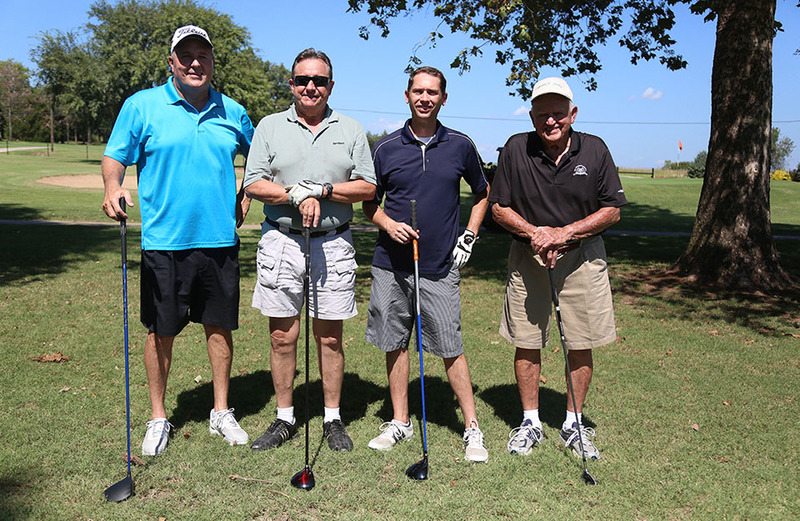 The OG&E team of (L-R) Chuck Mitchell, Jerry Hausner, David McBride, and Blake Bergman placed second in the afternoon Flight A a score of 51 at the Tenth Annual Central Tech Foundation Ron Vandever Memorial Golf Tournament on September 19, at the Buffalo Rock Golf & Gun Club. 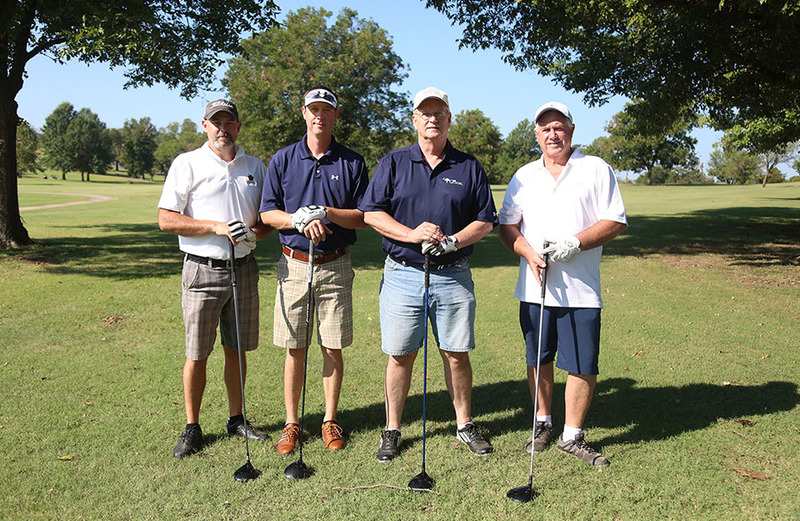 Team Spirit Bank 2 of (L-R) Rick Harper, Kell Kelly, Jonathan Hendricks, and Joe Ihle placed first in the afternoon Flight B a score of 60 at the Tenth Annual Central Tech Foundation Ron Vandever Memorial Golf Tournament on September 19, at the Buffalo Rock Golf & Gun Club. 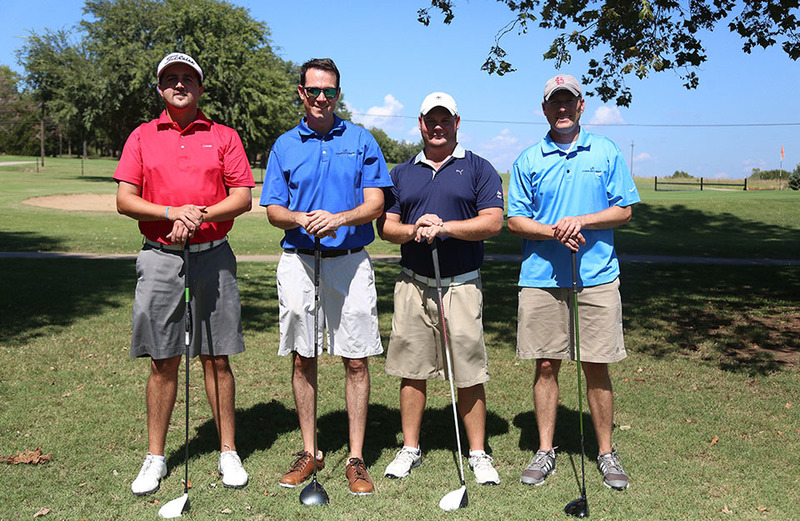 The Spirit Bank 1 team of (L-R) Josh Crowl, Scott Moore, Brent Blansett, and Peter Kelly placed second in the afternoon Flight B with a score of 61 at the Tenth Annual Central Tech Foundation Ron Vandever Memorial Golf Tournament on September 19, at the Buffalo Rock Golf & Gun Club.